Designed for both the production and lab environments, StructureExpert is an all-in-one solution dedicated to a particular application. Challenging conventional technology, StructureExpert does away with conventional and time-consuming positioning and adjustments, enabling reliable verification of a specimen within 30 seconds and delivering critical quality control data in line with the production line. The user can verify a prepared specimen in just 30 seconds, based on a magnified, crystal clear and high-resolution digital image. Save even more time by locating the StructureExpert close to your QC function – if necessary, right beside the production line. StructureExpert can be used in virtually any production environment. The optical equipment is completely protected by a robust and dustproof housing, allowing you to save time by performing verifications right where they are needed. A straightforward user interface and an automated step-by-step process mean rapid familiarization and consistent repeatability. 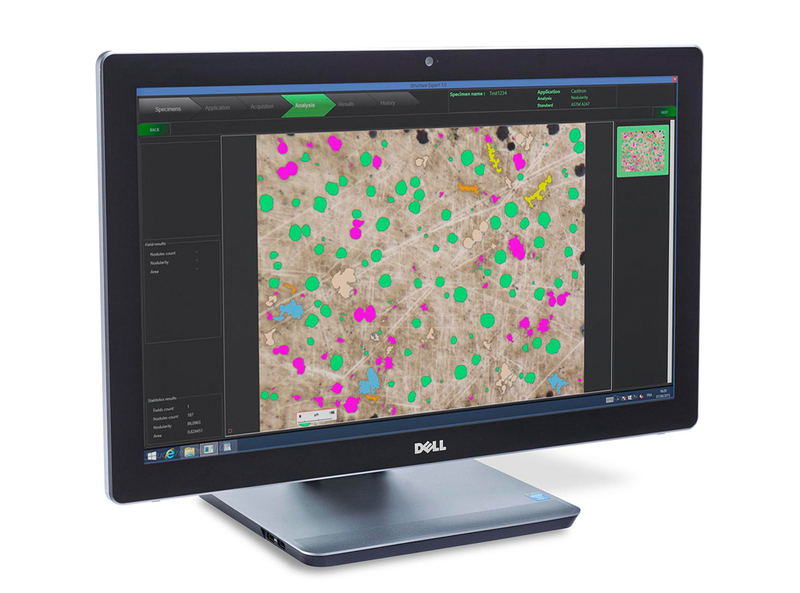 Dedicated software modules provide an intuitive workflow, enabling correct image acquisition without any special operator training. 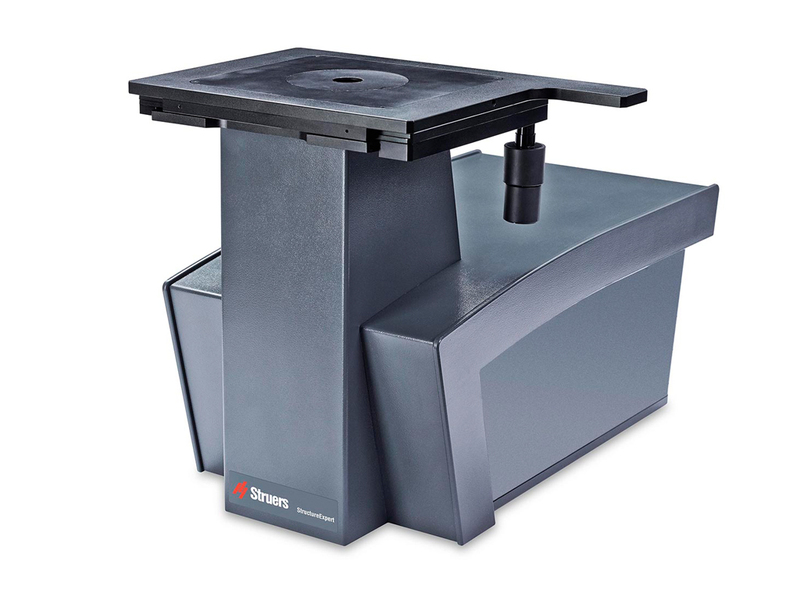 The inverted optical system maintains a constant distance between the sample and the camera, providing a constantly sharp image without the need for continuous height adjustments and calibrations. The built-in digital camera and a motorized autofocus zoom lens give maximum flexibility in selecting a perfect field of view. Specimen illumination and contrast is automatically adjusted to ensure perfect conditions for the given application and the surface conditions detected by the system. This eliminates the need for tedious light and filter adjustments and significantly simplifies the analysis. The zoom system offers the operator maximum flexibility in selecting a perfect field of view for all measurements without the need to select and switch between objective lenses. Automatic focus on the sample surface eliminates the need for manual adjustments. This means unmatched ease of use and optimized repeatability. Contrary to conventional manual verification technology, the sample surface is always the same distance from the camera. This does away with time-consuming, continuous height adjustments and calibrations, thus significantly reducing operator time, while maximizing the image quality. 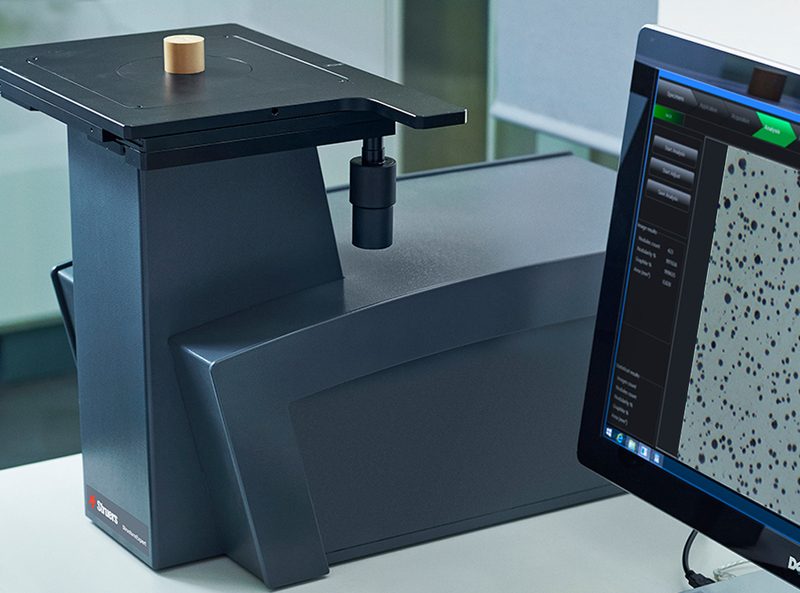 Dedicated imaging system for verification of microstructures and dimensional measurements. Based on a workflow oriented user interface for easy and repeatable operation. Includes software for basic manual measurements and reporting. Dedicated application oriented modules are ordered separately. Consists of compact housing, a LED lighting system, and motorized zoom camera. With auto-focus and automatic illumination adjustment. Field of view 6.24 mm to 294 μm, equivalent to 25x - 500x magnification. Measurement resolution 0.11 μm. Includes manual xy-stage capable of supporting 3.0 kg, e.g. large specimen holders. Includes calibration plate and necessary cables. Accredited certificate for calibration plate is optional. PC and monitor are required.